A tremendous accolade for the red-hot alto saxophonist! 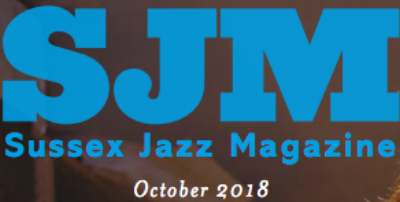 One of the so-called Young Turks of the current British jazz scene, this is the second album recorded by the alto saxophonist, who has already reached the eyes and ears of the American jazz community, being reviewed no less by Down Beat in a recent edition. Hi-Fi News rates ‘The People Could Fly’. 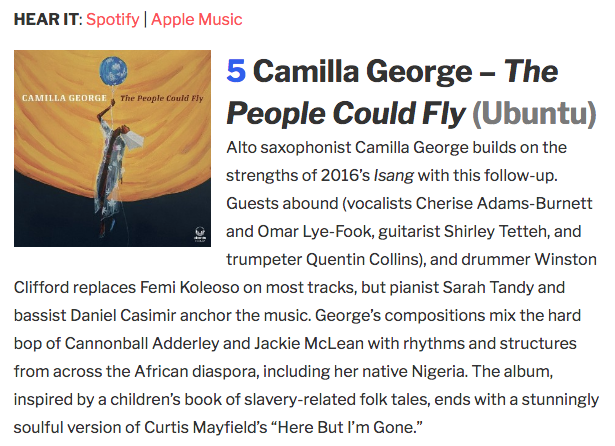 Camilla George Featured in Jazz as Art! 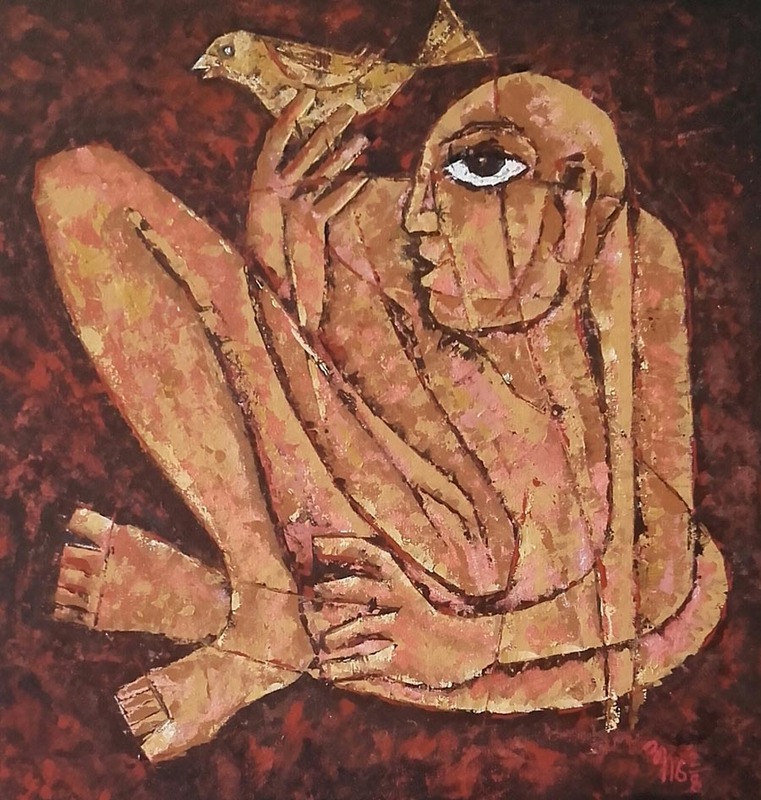 Jazz As Art series invites you to listen to a piece of jazz and as it plays. 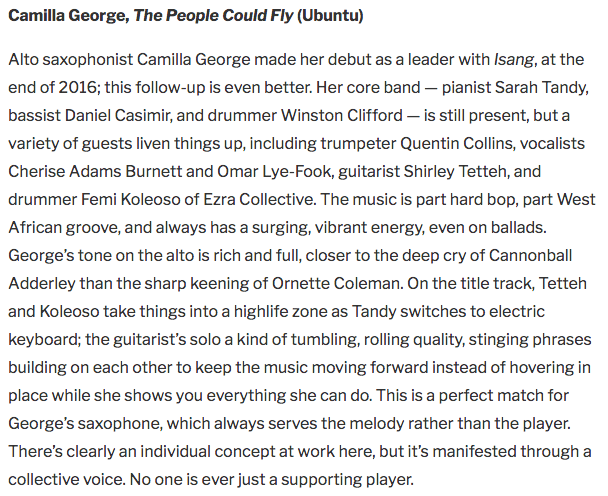 Camilla George Review in the USA! “The People Could Fly’ scores another rave in Stereogum! Camilla Earns Another Top Review! 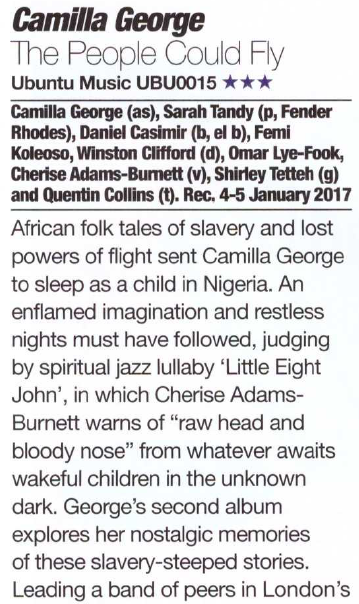 Jazzwise Magazine loves the new album, which continues to receive playlist mentions. Jazz Views Loves Camilla's Latest! Eddie Myer sings her praises with ‘The People Could Fly’. Mike Hobart gives the show a big thumbs-up! The Jazz Mann Loves Camilla!!! Camilla Nails Another Great Review! 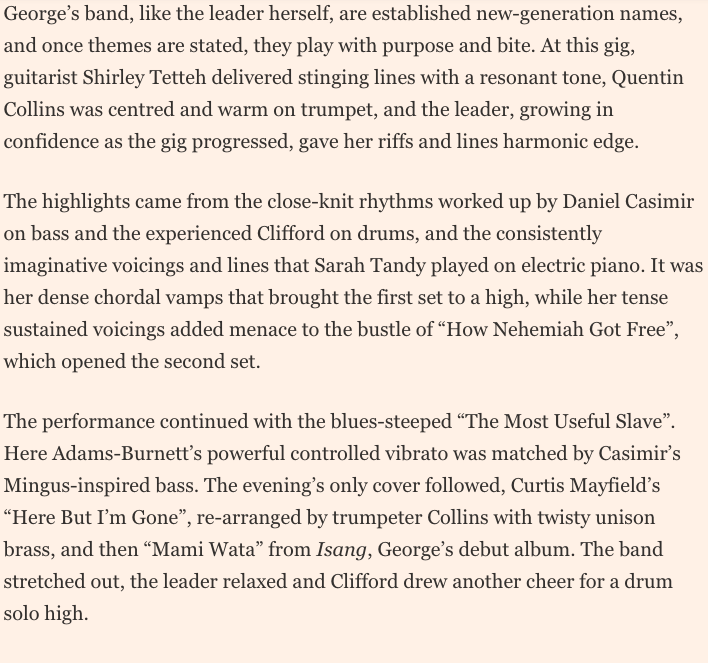 Sussex Jazz News gives a big up for ‘The People Could Fly”.